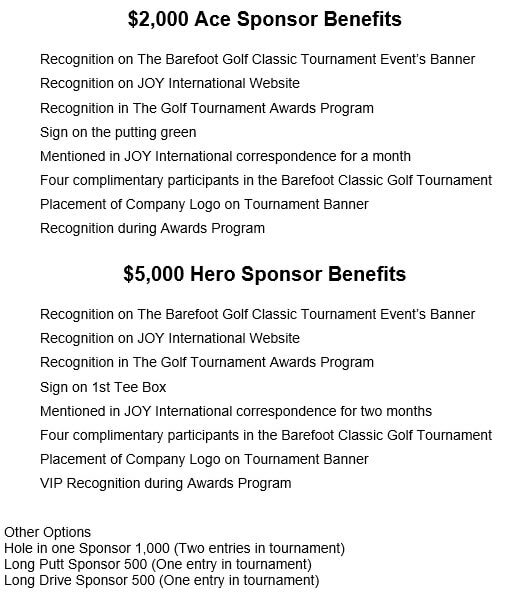 This is good for one FOURSOME to enter the JOY Barefoot Golf Event! Includes golf, lunch and prizes! Thank you for helping save lives! Yep, That's right. We are giving you some extra feet to add on to your shot! It's like string, but better!